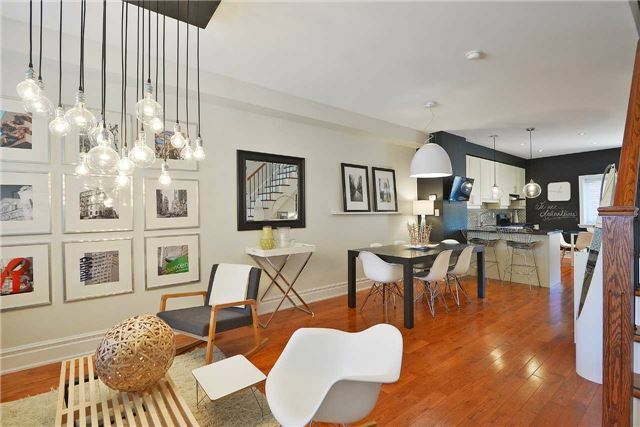 Stunning, Bright And Spacious Home In The Heart Of Trendy Leslieville. This Beautifully Maintained Newer Townhouse Features 2600Sf Of Modern Living Space; Three Storeys Plus Finished Basement Filled With Natural Daylight, Top Floor Skylight, And Open Concept Living Area. High Ceilings, Hardwood Flooring Throughout And Exceptionally Large Bedrooms Make This Heritage Designated Home Stand Out. Upgrades Throughout, & Freshly Painted. Gas Stove & Bbq Hook Up. Want to learn more about D-112 Morse St? I would like to learn more about D-112 Morse St.